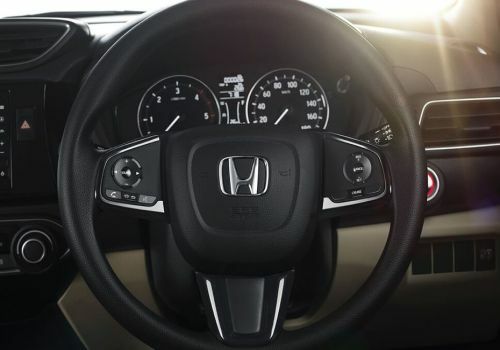 The new Amaze comes with a three-spoke steering wheel, with each spoke getting some chrome accents. 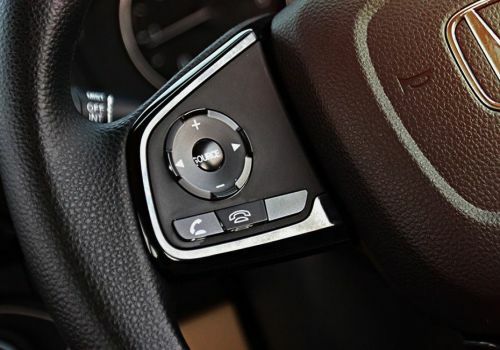 Steering-mounted audio and telephony controls are available on the S, V and VX. Sadly, there is no leather wrap option on any variant. 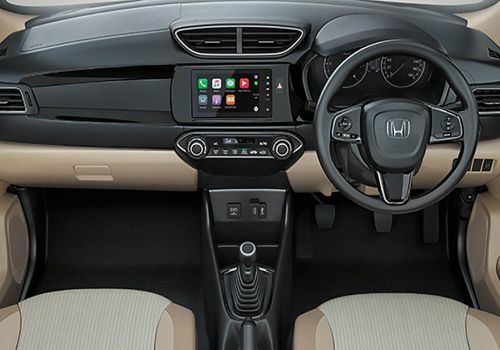 The second generation Honda Amaze continues to feature a dual-tone dashboard layout with multiple chrome and piano black accents thrown around. The overall arrangement isn’t flamboyant, but is focused more towards ease of access. As a result, all controls are laid out ergonomically. 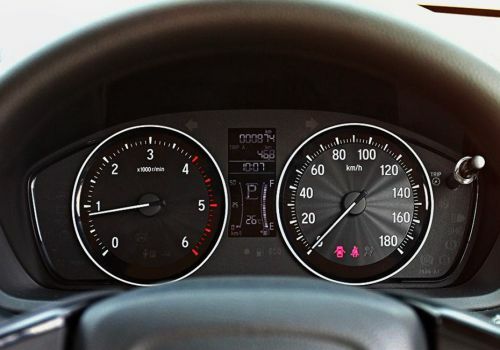 The Amaze gets a twin-pod instrument cluster with a tall MID screen in the middle. However, this big MID screen is available only on the V and VX variants. It displays information like time, average and instantaneous fuel economy, distance to empty, 2 tripmetres, odometer and fuel level indicator. Sadly, there is no gear indicator on offer. 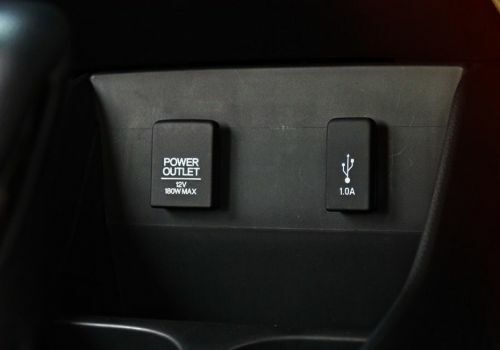 The top two variants (V and VX) get push-button engine start/stop functionality. The button gets a silver surround and is backlit as well. 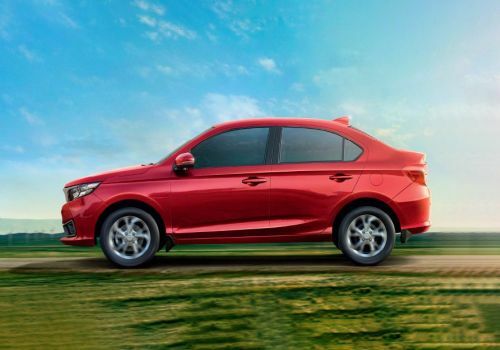 Competition Check: Push-button start/stop is available on the Z and Z+ trims of the Maruti Dzire and the top-of-the-line SX(O) trim of the Hyundai Xcent. 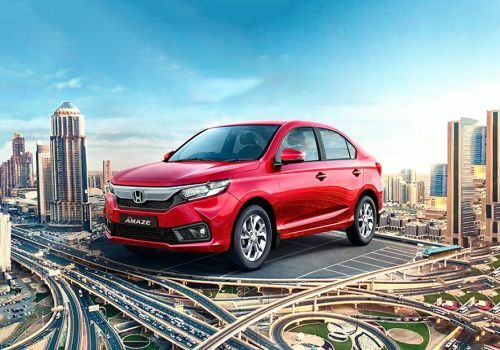 The Honda Amaze is equipped with two airbags (driver & passenger), along with anti-lock braking system (ABS) and electronic brake force distribution (EBD) as standard. 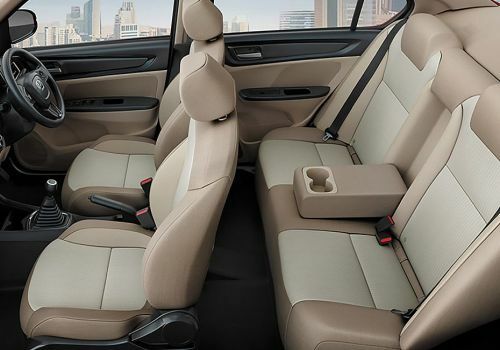 Both front seats come with pretensioners and load limiters for the seatbelts, while ISOFIX child seat mounts too are a standard offering. 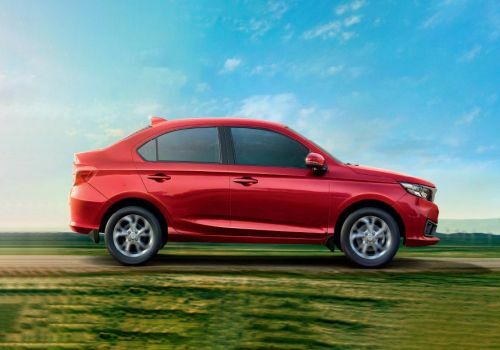 Competition Check: The Maruti Dzire & Hyundai Xcent are equipped with similar standard safety features. 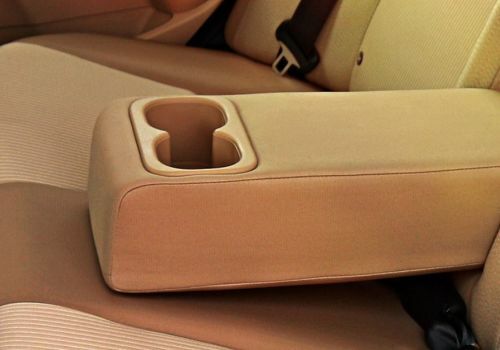 A rear centre armrest with integrated cup holders is available on all variants except the base-spec E trim. 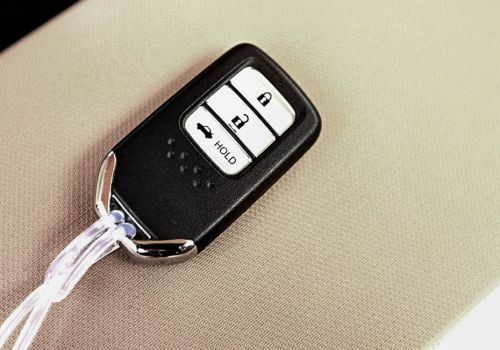 The V and VX variants come with automatic climate control system. The control console features two rotary knobs on either sides, and a monochrome display in the middle. Meanwhile, lower variants get a conventional manual AC unit. 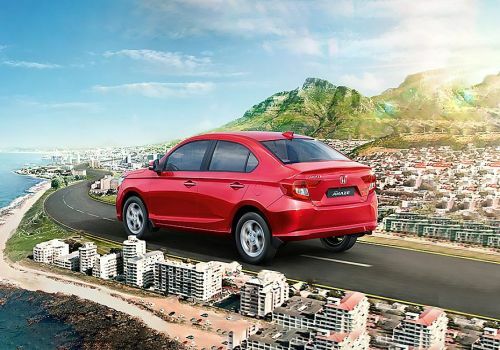 The Honda Amaze can be had with a CVT automatic gearbox with both petrol and diesel engine options. However, it is available only in the S and V trims. Meanwhile, a 5-speed manual is offered as standard. 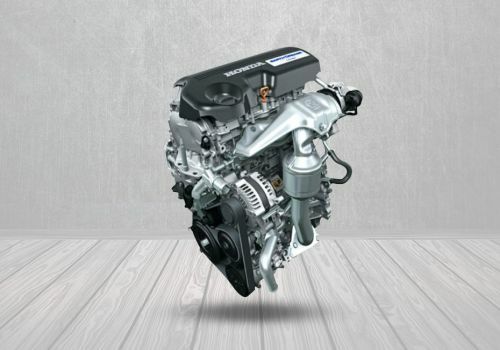 Competition Check: The Dzire comes with an AMT gearbox with both petrol and diesel models, while the Xcent can be had with a 4-speed automatic with the petrol engine only. 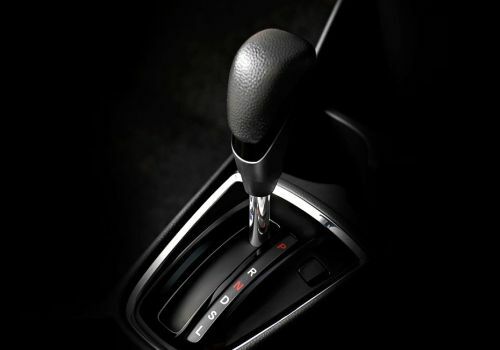 A 5-speed MT gearbox is available on all trims. 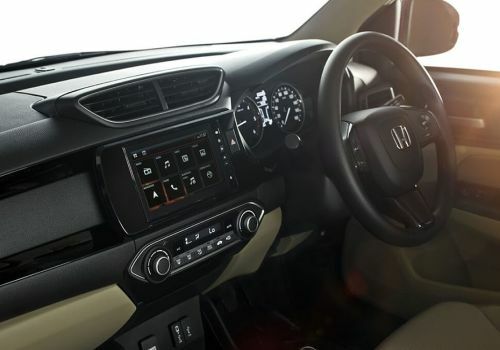 The Amaze comes with a 7.0-inch touchscreen infotainment system on the top-end VX trim. 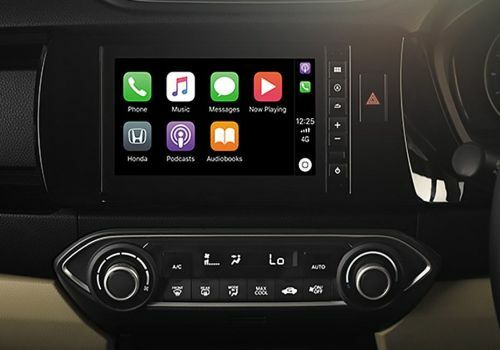 This system features Satellite Navigation, Android Auto, Apple CarPlay, and Voice Command. Meanwhile, the S and V trims come with a 2-DIN music system. 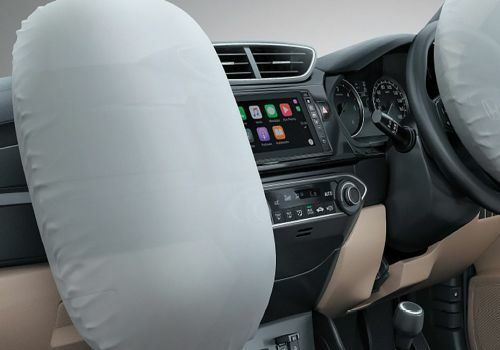 Competition Check: The Amaze’s chief rival, the Maruti Dzire, comes with a similar 7.0-inch SmartPlay touchscreen infotainment system with Android Auto, Apple CarPlay, Satellite Navigation, and Voice Command. 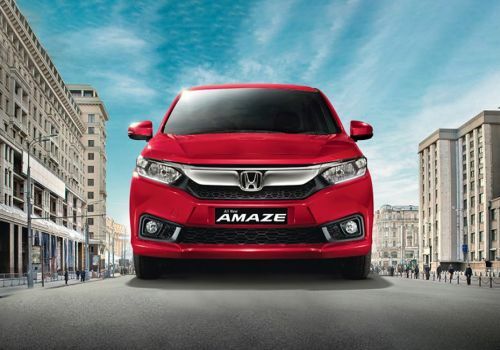 The Honda Amaze gets sleek halogen headlamps on all variants. 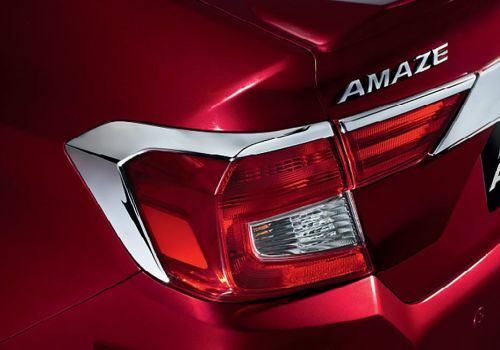 There are no projectors or LED lights on offer in any trim level. However, the top two variants (V and VX) do come with L-shaped LED position lamps. Competition Check: The Amaze’s direct rival, the Maruti Dzire, offers LED projectors and DRLs on the top-spec ZXi+ and ZDi+ variants. Meanwhile, the Hyundai Xcent just gets conventional halogens. 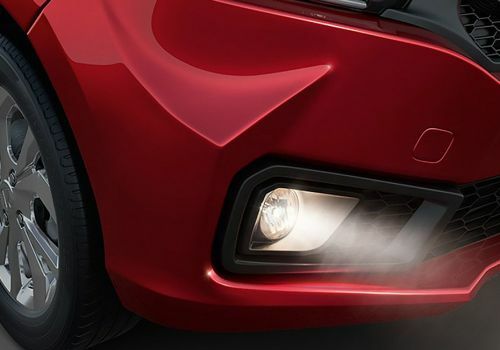 The Amaze gets circular fog lamps placed inside large housings on the V and VX variants. 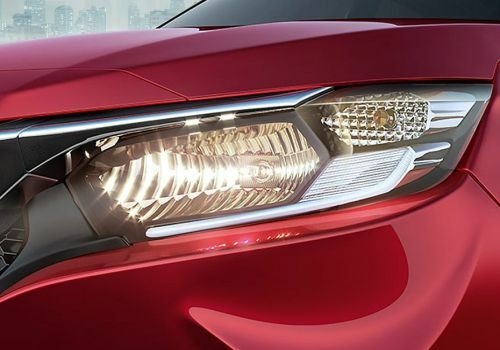 The fog lights are located on the extreme ends of the bumper. 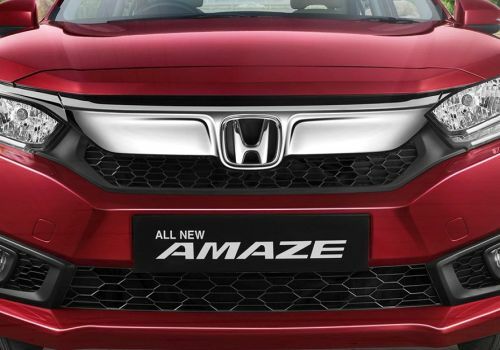 Like all latest cars from Honda, the new Amaze also comes with a prominent chrome bar on the front grille, with the Honda logo located in the centre. There is a mesh-like grille just below this bar that helps in passing air inside the engine bay. 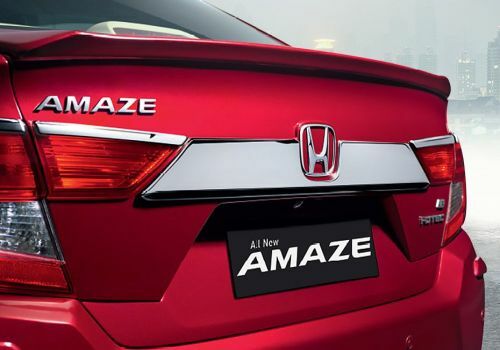 The Amaze gets split-section tail lights, though the panel located on the boot lid just includes reflectors. As a result, all bulbs are located on the fender panel itself. 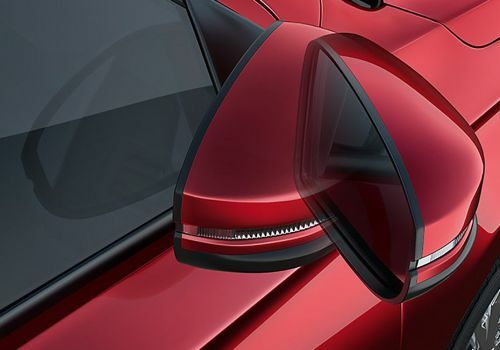 Except the base-spec E trim, all variants of the Honda Amaze come with power adjustable and foldable outside rearview mirrors (ORVMs). These variants also get LED turn indicators integrated within the ORVM housings. 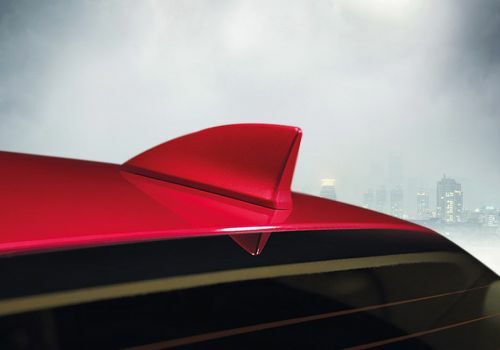 The S, V and VX variants come with a shark fin antenna located on the rear section of the roof. 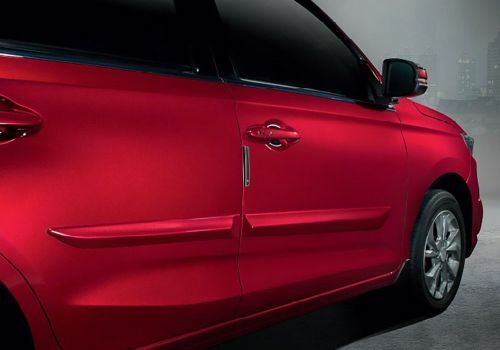 The base-spec E trim comes with a stubby micro antenna instead. 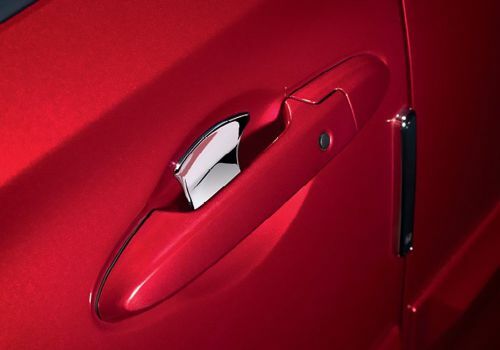 The black button seen on the outside door handles is a request sensor, pointing towards the presence of keyless entry on the V and VX trims of the Amaze. 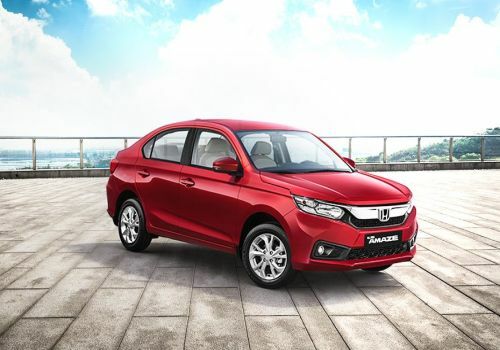 The top two variants (V and VX) come with 15-inch alloy wheels, that are wrapped with 175/65 profile tyres. 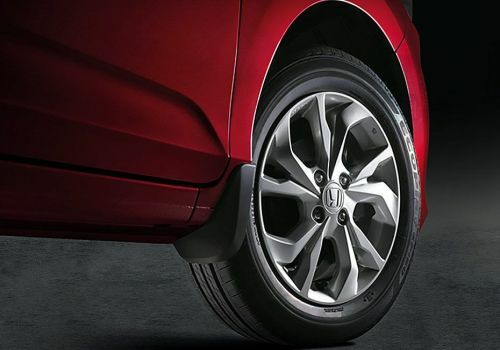 The E and S trims come with 14-inch steel rims, though the tyre profile remains unchanged.